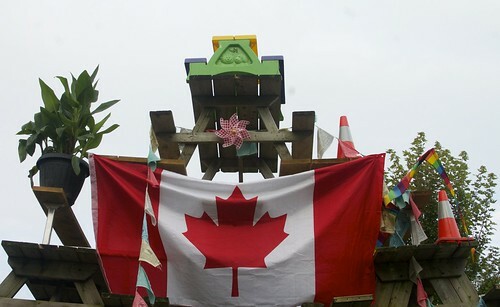 Table Stack 2017 offered up an ode to Canada’s 150th birthday and also boasted some artistic symmetry. 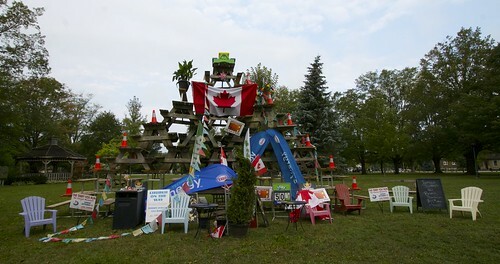 Here are a few images of this year’s creation, a part of the end of summer tradition in this community for over 40 years. 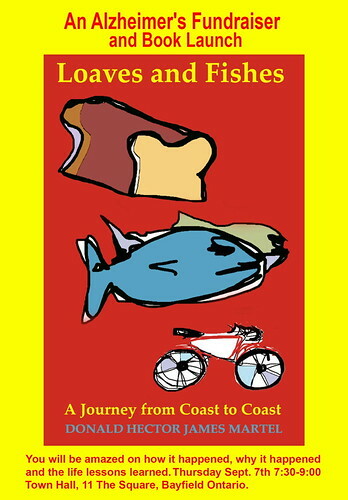 Don Martel’s book “Loaves and Fishes” is based on his epic solo bicycle trip of 8,200 KM across Canada. Tomorrow (Sept. 7), at the Bayfield Town Hall starting at 7:30 p.m. all are invited to join Martel for the launch of his book. This event, sponsored by the Photography Club of Bayfield (PCoB), is open to the general public and admission is by donation to the Alzheimer’s Society of Canada. No pre-registration is required. As a master photographer and great storyteller, Martel will share some of the experiences of his ride across Canada in words and photos. It was the inspiration he received from his encounters with hundreds of fellow Canadians that resulted in this book. All net proceeds from the evening go to the Alzheimer’s Society. In addition, Martel has also agreed to hold two photo workshops this weekend, Sept. 8 and Sept. 9. The first of these is called: Introduction to Digital Photography and will take place at the Bayfield Lions’ Municipal Building on Friday from 7-8:30 p.m. This class, limited to 20 participants, is for anyone with a camera, from a smart phone to the latest digital SLR, who is not fully comfortable with the technology. The class will help them understand how the camera sees the world. Martel will explain how and why the camera sometimes does not appear to see things the way a person’s eyes see them and then provide practical simple approaches to use this knowledge when making photos. The second workshop to be held on Saturday, called “Land and Water” will also be in the Lions’ building and take place from 9 a.m. to 4 p.m. At this moment, there is only one spot remaining for this workshop in which participants will pick up tips, starting points and approaches to making great Landscapes and Waterscapes. They will learn about light, landscapes, waterfalls, reflections, motion and even spend some time with some useful post processing techniques. An evening sunset photoshoot will round out the day. The Friday workshop costs $10 and the all-day Saturday workshop costs $85. For any further questions or registration please contact Martel at 519 984-6329 or email don@donmartel.com. You can also visit his website at www.donmartel.com. September is the perfect time to explore the trails in the Bayfield area and members of the Bayfield River Valley Trail Association have some great, guided hikes in the works! The first hike is set for Sunday, Sept. 10 starting at 1 p.m. along the Bayfield Flats. All are welcome to join guest speaker Ian Jean, forester at the Ausable Bayfield Conservation Authority (ABCA), to discover what’s growing on the River Valley Flats. Jean has an amazing knowledge of trees and forests and will point out; natural features, what to look for when identifying trees, Carolinian species (such as Sycamore trees and Butternut), and other interesting forestry points of interest. The hike will be about 2 KM long, with a difficulty level of two and will take approximately two hours with stops along the way. To meet Jean and BRVTA hike leaders, head north on Hwy 21, turn right (east) on the lane just before the bridge down to the parking lot (almost across from Short Hill Road). Parking is available but limited, so carpooling is recommended. Please wear suitable footwear and insect protection, and don't forget to bring tree identification books and binoculars if you have them! The hike leaders will be Peter Jeffers, 519 933-4555; Dave MacLaren, 519 565-5480; and Roger Lewington 519 565-2202. 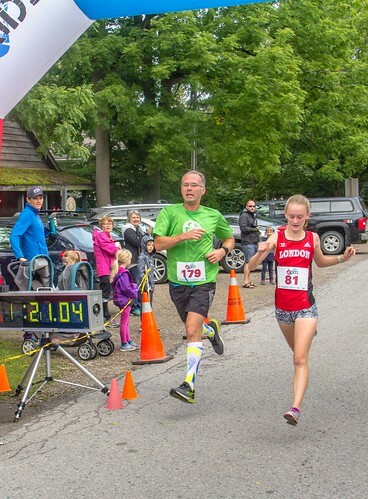 Members of the BRVTA also organize the annual village Terry Fox Run and this year this fundraiser for cancer research will be held on Sept. 17 starting at 9 a.m. from Clan Gregor Square. And then as the month comes to a close the BRVTA will host a hike on the Lobb Trail starting at 9 a.m. on Thursday, Sept. 28. Tom Davis is a professor in the Donald J. Smith School of Building and Technology. An environmental pioneer, Davis immigrated to Canada from the United States as an adult and began his teaching career at Fanshawe in 2008. 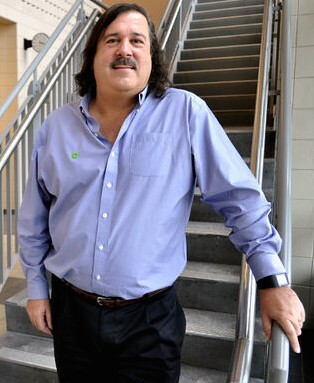 He has an educational background in civil engineering, majoring in environmental engineering; has worked in the highrise construction business; created his own environmental company (Green-tech Environmental Engineering Ltd.); and is an accredited professional with the Leadership in Energy and Environmental Design (LEED). Davis was also personally trained by former Vice-President Al Gore, chair of the Climate Reality Project, and is part of the Climate Reality Program Leadership Corps. This entails receiving content prepared by Gore and delivering it to students in sustainability at Fanshawe. Most recently, Davis and his students worked on a corporate policy to retrofit 68 townhouses across from the college to net zero design, with the hope of rolling the idea out to four other programs at the college in the fall. Davis will offer practical solutions for everyday people to lower their carbon footprint and live sustainably, and will also discuss how modern building techniques offer zero energy outputs, as demonstrated by new student buildings at Fanshawe College in London. It is almost time to lace up those skates and take to the ice in Bayfield Arena with the Bayfield Skating Club. Registration will be held tomorrow (Sept. 7). Registration for Pre-CanSkate, CanSkate, Junior, Senior plus Powerskating 2 (10 week sessions) will be held from 5:30-7 p.m. at the Bayfield Community Centre. The season will begin Oct. 23 and will conclude March 13, 2018. The Bayfield Arena Community Partners Association (BACPA) is sponsoring new registrants with $50 off the cost to join the Bayfield Skating Club. For more information please call Jody Whetstone, 519 565-2023. Together the Bayfield Facilities Initiative Team (BFIT) and the Bayfield Arena Community Partners Association (BACPA) will be holding a Public Meeting regarding the permanent removal of ice from the Bayfield Arena in the spring of 2018 was set for Thursday, Sept. 14. Please note this meeting is being rescheduled due to the fact the mayor was unable to attend. The Friends of the Bayfield Library (FOBL) would like to invite everyone to their annual general meeting that will take place in the Bayfield Branch of the Huron County Library on Sept. 9, at 10 a.m.
You have heard of an old fashion ‘barn raising’, well, the Bayfield Historical Society (BHS) is having a ‘building painting’ and they are looking for volunteers to help. 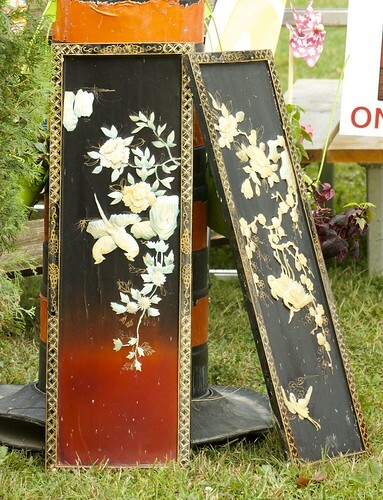 All that is needed is a paintbrush, scraper, some clothes to wear while painting and a positive attitude. Anyone who doesn’t have a paintbrush or scraper should then just bring the positive attitude. Supervision will be provided if requested. Volunteers will be painting the exterior of the Archives Building and Heritage Centre on Saturday, Sept. 9 from 9 a.m. to 1 p.m. Coffee and muffins will be available. A small crew is needed for Friday, Sept. 8 from 10 a.m. to noon to scrape, sand and prime a few areas on the south and west sides as well as caulk some of the window frames. Anyone who is able to help then should please call the BHS at 519 441-3224 and leave a message indicating when they can help - Friday, Saturday or both days. Anyone who can bring a step or extension ladder should indicate that as well. Please note that the painting event will be rescheduled if it rains. People from all walks of life and across the world tell how the practice of Taoist Tai Chi® arts has relieved stress, provided deep relaxation, given their bodies balance and strength, helped with pain, lifted spirits and even changed their outlook on life. Beginner classes are being offered in Bayfield starting in September. All are welcome to attend these classes taught by an accredited, volunteer instructor. 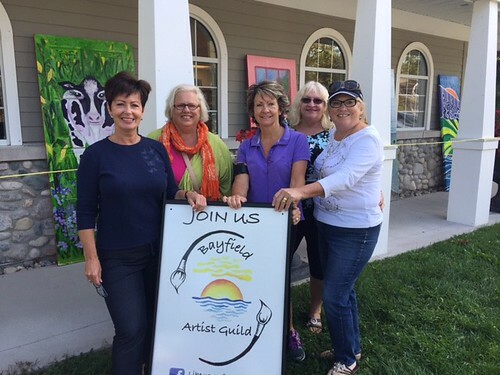 An Open House and free class will be held on Thursday, Sept. 7, from 9–10:30 a.m. at the Bayfield Town Hall. Beginner classes will continue on Thursdays from 9-11 a.m. AM at the town hall. For more information call Doug Brown at 519 565-5187. One Care will continue to offer morning fitness classes at the arena on Monday, Wednesday and Friday mornings starting Sept. 6. The schedule will be posted on the arena door and outdoor bulletin board at the library. Some exciting new classes will be added to the line-up. Bayfield has been fortunate to receive funding through the provincial government’s Seniors Community Grant Program. Some of this funding will be used to provide new fitness opportunities for seniors that emphasize mindfulness and relaxation. These classes will be offered later in the day so people who still work might be able to fit them into their schedules. “NIA” will begin on Sept. 12 at 5:30 p.m. in the Bayfield Community Centre. NIA classes combine dance, martial arts and mindfulness techniques. According to practioners, flexibility, mobility, agility, strength and stability will all be enhanced. The goal is to leave the class energized and relaxed. Participants may do the class in bare feet or soft flexible sneakers that will bend with your movements. According to Wikepedia, the NIA technique is a mind/body physical conditioning program that initially stood for Non-Impact Aerobics, a health and fitness alternative that emerged in the 1980s and evolved to include neurological integrative practices and teachings. The first Total Body Relax class will be held on Sept. 28, also at 5:30 p.m. at the community centre. Total Body Relax offers a gentle approach to stretching, toning and relaxing muscles. Participants are asked to bring a yoga mat, towel or blanket and a small pillow. Note some Total Body Relax classes will be held at the arena and some at the Bayfield Town Hall. All are invited to come out and give one of these classes a try. There is no charge for either class. Please email plewington @tcc.on.ca for more information. 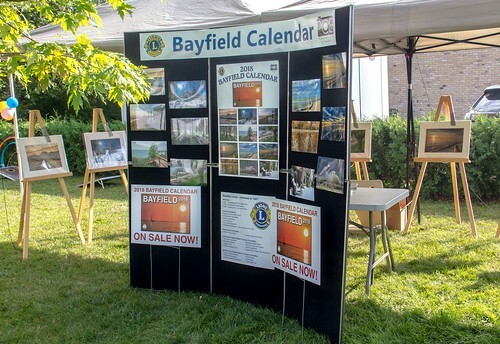 The new 2018 Bayfield Calendar, a joint project of the Bayfield Lions Club and the Photography Club of Bayfield (PCoB), is now on sale. This year’s theme, “Blue is the New Green”, is well reflected in the photos most of which involve water in some state. Selling for $10 these calendars are available from Main Street locations: Shopbike Coffee Roasters and the Bayfield Archives and Heritage Centre, as well as Bayfield Foodland, Dublin Mercantile in Bayfield and from Justyna Chojnacki as well as a number of local clubs and organizations including the PCoB and Lions. For a look at all the photos in the calendar see the collage in the display window at the Bayfield Archives and Heritage Centre. 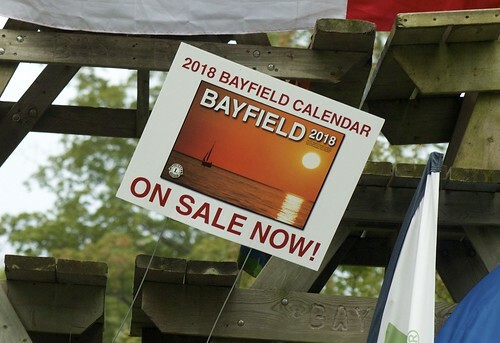 Organizers note that the calendars make wonderful gifts and mementos of Bayfield. All proceeds from calendar sales go towards supporting Lions’ activities throughout the community. 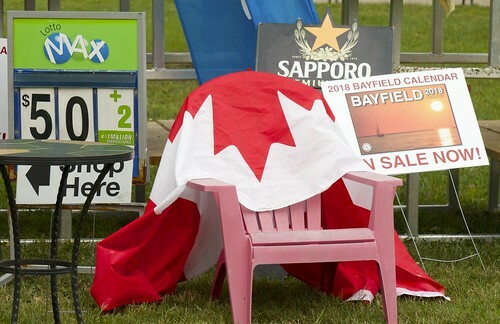 Revenues from the print sale will be shared with the Bayfield Town Hall. Shannon Gould, of the Bayfield Hearing Clinic, is now offering her services out of Michael’s Home Healthcare offices just a couple doors down from the pharmacy – two times a month. Sept. 7 and 19 are dates that can be booked this summer.The Bayfield Hearing Clinic offers appointments from 9 a.m. to 4:30 p.m. The clinic offers: hearing aid adjustments and repairs to all makes and models, no cost hearing tests, new prescription of hearing aids, wax removal, hearing aid battery sales as well as hard of hearing assistive devices.Please call Gould at the Bayfield Hearing Clinic, 1-855-396-6026 to book an appointment. The Wednesday afternoon Bridge group would like to invite people to come and join them in some friendly card games at the Bayfield Lions’ Community Building starting at 1 p.m.
Join in the fun with congenial players with snacks at a cost of $1.50 per person. For 30 years, author and playwright Dan Needles has been bringing to life the stories and characters of his mythical Persephone Township, a fictional rural Canadian community two hours north of Toronto. 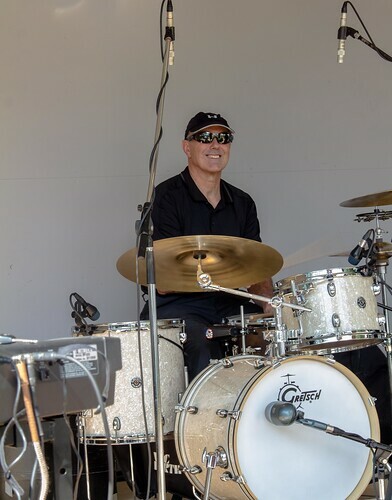 The 2017 International Plowing Match and Rural Expo is pleased to welcome Dan Needles as an emcee to “Sheep Shearing Plus!” on Thursday, Sept. 21 at 11:30 a.m. in the CKNX Event Centre. 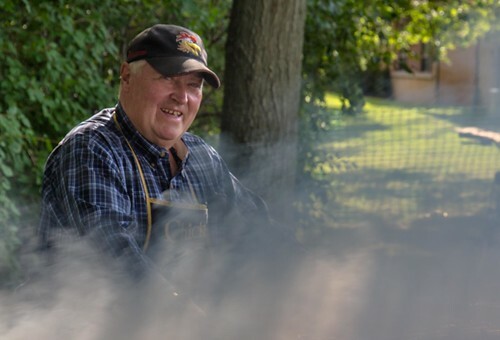 Intertwining the art of Sheep Shearing with past Canadian Champion Sheep Shearer Donnie Metherall, Dan’s color commentary will be engaging for the audience as he describes the skill of shearing sheep with tales and stories of Persephone Township. Needles is no stranger to IPMs. He attended his first match at the age of seven, and had the opportunity to meet John Diefenbaker. He also gave the sermon at the IPM 2013 Church Service in Mitchell titled, “How to Keep Sheep and Still be Christian”. His Wingfield Farm series of stage plays have appeared in virtually every English-speaking theatre in Canada including, the Stratford Festival and Royal Alex in Toronto and eventually became a popular television series aired on CBC, Bravo, the PBS networks, and closer to home, at the Blyth Festival Theatre. IPM 2017 takes place Sept. 19-23 tickets will be available at the gates on the day of for $18 per person. More information about all the entertainment schedules and programming for IPM 2017 can be found online at plowingmatch.org/ipm-2017 or the Facebook Page Huron IPM 2017. Grief, bereavement and mourning are often used interchangeably; however, they are different. Bereavement is the loss of someone or something precious. Grief is the normal and natural response to the loss of someone or something precious. Mourning is the social expression of grief performed after death and includes religious and cultural rituals and behaviours (Pallium Canada). Grief is a personal and unique response to loss. Grief can be a very painful process and can take time to heal. It can be expressed physically, emotionally and spiritually and it can take months to years to heal from a loss. Loss may not be something someone ever gets over but eventually it can be integrated into one’s life allowing the person to move towards healing and wholeness. There are over 40 different kinds of losses that a person can experience in a lifetime. These can include but are not limited to death, divorce, pet loss, financial loss, loss of health, empty nest, retirement and can also include intangible losses such as loss of trust, safety, control, etc. Huron Residential Hospice recognizes that there are various kinds of losses in life and identifies that grief and bereavement support are essential to their Model of Care. Huron Residential Hospice advocates that grief and bereavement support must be accessible to everyone in Huron County and include emotional, spiritual, and psychosocial support for individuals and families anticipating a death or who have experienced a loss. Huron Residential Hospice and Huron Hospice Volunteer Service will continue to offer several programs ensuring that everyone has access to grief recovery. 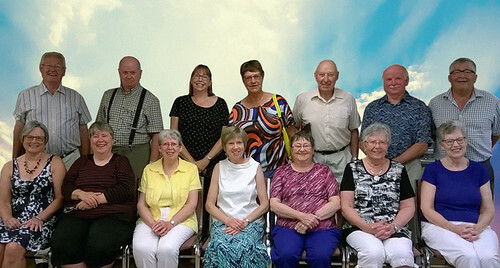 There are currently several programs offered by Huron Hospice throughout the county. Each program is facilitated by a Certified Grief Recovery Specialist and is designed to meet the needs of a specific group based on age, loss, location, etc. The Grief Recovery Outreach Program is an eight week support program for adults that provides a safe environment to evaluate common myths, look at one’s own beliefs about loss, identify losses that have affected one’s life and actions that have lead to emotions that may be causing unresolved pain. Certified Grief Recovery Specialists provide participants with tools to help each individual recover from the loss with supportive guidance. It is an action-based program that includes reading and writing assignments and is typically offered in the spring and fall. The program is also available to youth and young adults with a slightly different application to ensure success. The One-to-One Grief Support Program is another resource for individuals who are experiencing grief or bereavement. Specially trained staff and volunteers are available to support an individual by offering an empathetic listening ear, exploring healthy forms of coping and building trusting relationships. A staff member will complete an assessment and ensure that each individual is matched with the best volunteer or staff member to ensure the most effective support. This program is available in an individual’s home, over the telephone, or wherever the person feels most comfortable. My Path is a program developed by Huron Hospice using the principles of the Grief Recovery Outreach Program and has been implemented in other hospices within the province. This program is for persons with cognitive impairments, helping them process their grief and loss. It is a four-week support program that allows individuals to acknowledge their grief and say goodbye to the pain and hurt. The specialized staff and volunteers provide support by validating feelings and grief responses and provide new tools that allow individuals to express grief and cope with their losses. These support programs are currently offered to everyone in Huron County and will continue to be available for the foreseeable future. Huron Residential Hospice supports those who are grieving by providing a supportive, non-judgmental and safe environment. Support through the hospice helps a grieving person realize that they are not suffering alone; they can share strategies for healing and find support in their community. The next Grief Recovery Outreach Program will be starting in late September in Wingham and Bayfield. If you or someone you know would benefit from this program or one of the other programs offered, please contact Huron Hospice at 519 482-3440 Ext. 6301. Join the 5,000,000 Step Challenge and show your support for people with Parkinson’s and their families by registering for Parkinson Society Southwestern Ontario’s (PSSO) WALK-IT for Parkinson’s taking place in Goderich on Sept. 9 at the Rotary Cove Pavilion. 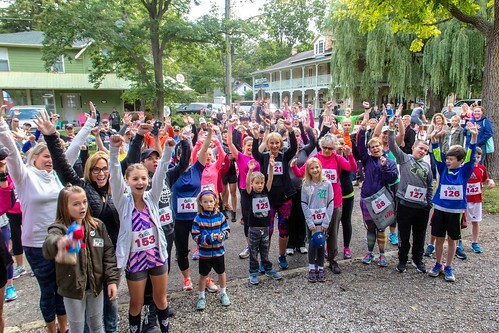 WALK-IT for Parkinson’s is a fun, family-friendly event that helps keep the Parkinson’s community active and raises funds for support services and research right here in Southwestern Ontario. 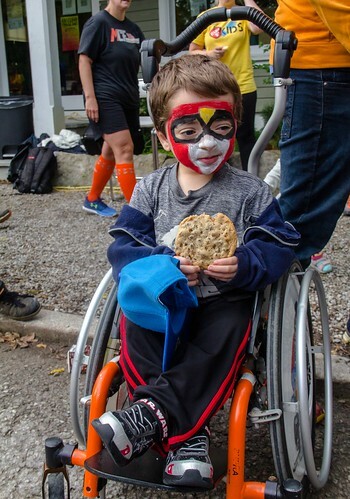 Participants have the option of walking a 2 KM or 5 KM route (or not walk at all) and will be entertained by music and provided with snacks and refreshments. PSSO awarded funds to three graduate students totaling $50,000 this past April at the Parkinson’s Medical Reception. The Graduate Student Research Program is part of a strategic initiative to encourage young scientists to enter the field of Parkinson’s research and to invest in research and training that offers promise for future work in the area of Parkinson’s. PSSO members were excited to award this year’s recipients: Thea Knowles, Olivia Samotus and Andrew Vo. Registration at WALK-IT for Parkinson’s opens at 10 a.m. with the walk starting at 11 a.m. Bring your friends, bring your family, and even bring your dog! Every step counts. The annual Iceculture Wackabout Golf Tournament returns to the Bayview Golf Club on Friday, Sept. 15 with proceeds going to the Bayfield Area Family Health Team expansion project. The tournament was revived last year after a 15-year break specifically to raise money for the new clinic. In 2016, 94 golfers participated and early indications are the 2017 event will attract a full house of 144 players. In the past, the four-person, scramble format was popular with all those who participated. Thinking of becoming a Community Food Advisor (CFA)? Watch the CFA demonstrations at the Threshers’ Reunion and International Plowing Match and learn what being a CFA is all about. The Huron County Health Unit is currently recruiting CFA volunteers. For anyone who enjoys food, nutrition, learning and talking with people in the community, this may be the right opportunity. Training will take place this October. Visit the CFA booth at the Threshers Reunion on Saturday, Sept. 9 at 2 p.m. and Sunday, Sept. 10 at 11 a.m.
People can also check out the CFA demonstrations at the IPM on Friday, Sept. 22 at 11:30 a.m. and Saturday, Sept. 23 at noon. 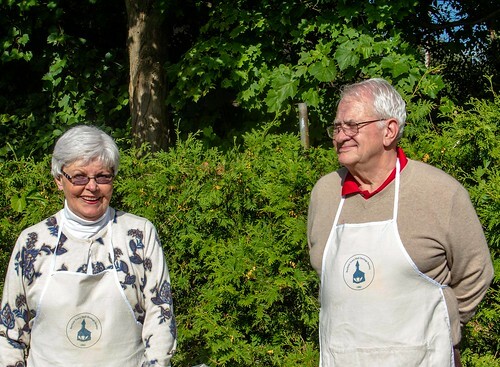 “These events are a great chance for anyone interested in becoming a CFA to learn more about the program, talk with the volunteers, and try out a new recipe,” said Higgins. CFA training provides volunteers with the knowledge and skills to promote healthy eating and food safety through presentations, cooking classes and other educational appearances. In 2016 alone, the 22 Huron County CFAs reached over 2,300 people. CFA training is free and will begin in October. Volunteers will receive training from professionals, including a registered dietitian, public health inspectors, public health nurses and more. For more information visit www.huronhealthunit.ca/CFA or call 1-877-837-6143 Ext. 2260. A four-week Bone Health program will be offered in Zurich at the Bluewater and Area Family Health Team (BAFHT) on Tuesdays starting on Sept. 12. The workshop, which will run from 1-3 p.m., will be useful to those recently diagnosed with or interested in preventing, osteopenia and osteoporosis. Each week, various health professionals: a pharmacist, social worker and dietician will present and take questions. Each week a nutritious snack will be provided. This is being offered in partnership with Community Connections Outreach Services and One Care along with other various organizations. To register, call Heidi, Wellness coordinator at 519 236-4373 Ext. 632. 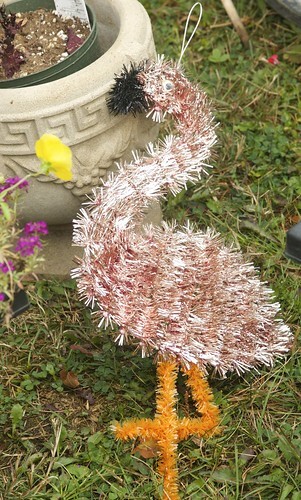 Jim Melanbacher was in charge of the chicken on the barbecue. 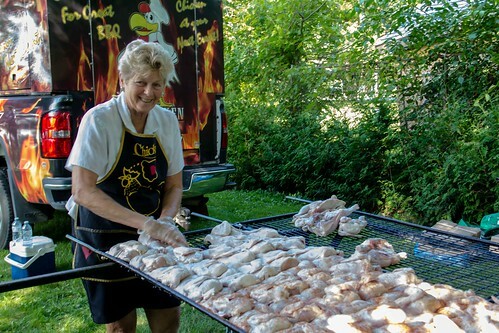 Mrs. Melanbacher prepared the chicken for the barbecue. The members of the Cosmic Cowboys, of London, ON, include: Brent Jones, Peter Denomme, Pat Wocks, Ian Gifford, Dave Taylor and James Nestor. The Cosmic Cowboys, of London, ON were the musical entertainment at the event this year. 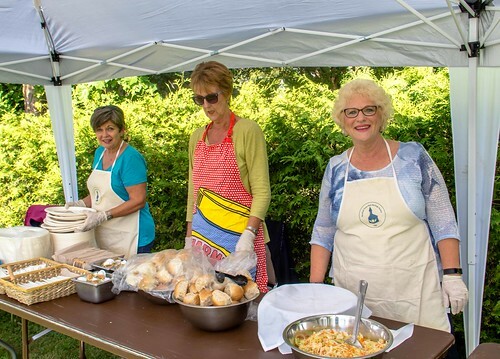 Judy Hagarty, Bronwyn Bechard and Karen Dalton helped serve up the menu which included coleslaw and fresh baked rolls. 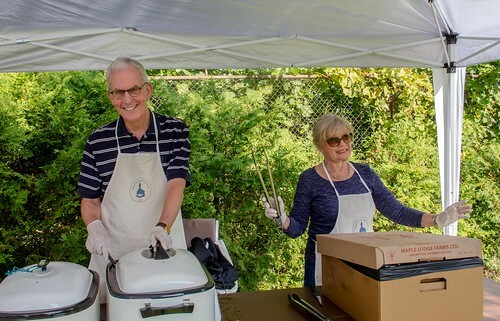 Greg and Lisa Stewart donned town hall aprons and volunteered at the food service tables. Marty Dalton and Jane Davidson-McKee were ready with environmentally friendly plates and napkins. Volunteers are at the heart of the "Sunset on Summer" event including Kathy and Larry Dalton. 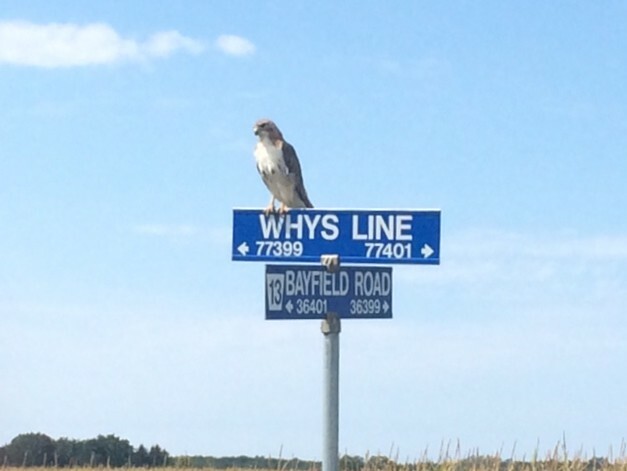 of Bayfield. 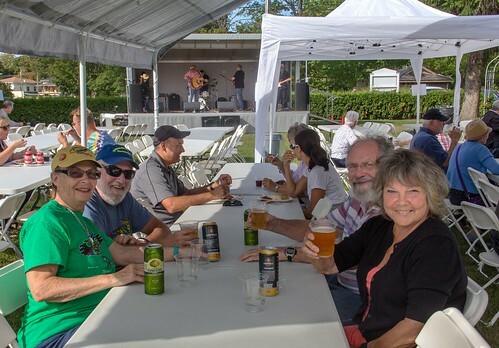 Guests at Sunset on Summer were able to toast to Labour Day weekend 2017 with craft beer from Blyth's Cowbell Brewery. 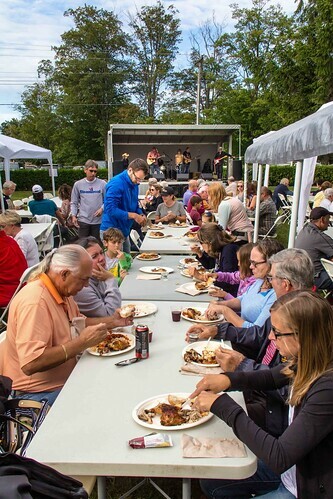 The Board of Directors for the Bayfield Town Hall were met with cooler temperatures and cloudy skies for it’s Sunset on Summer Family BBQ but that just met there were fewer insects at the picnic! The crowd enjoyed fantastic chicken and sides, added to that a beer and wine tent, music from The Cosmic Cowboys, of London, ON and the afternoon was destined for success. The board would like to thank Cheri Shaver, owner of The Purple Peony on Main Street in Bayfield, for generously donating to the children’s activity area as well as the CNR School on Wheels for loaning their train activity table. This has become the main yearly fundraiser for the Town Hall, providing much needed income to help support yearly maintenance. 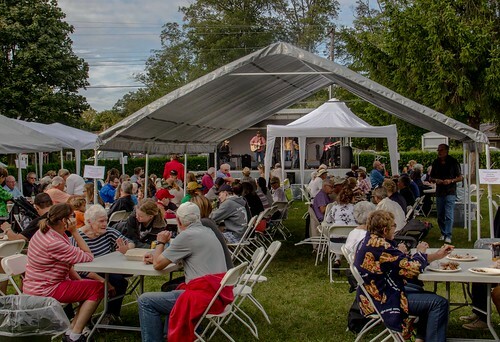 The Sunset on Summer BBQ is a huge reminder to the board of directors of the support the community continually displays by attending this great family event. They are also indebted to the many volunteers that help make the event run smoothly. The Cosmic Cowboys from London, ON, provided musical entertainment at Sunset on Summer. 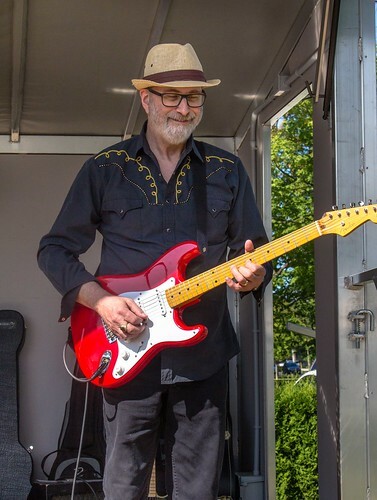 James Nestor, a member of the Cosmic Cowboys, of London, ON, performed at the annual picnic in support of the Bayfield Town Hall. 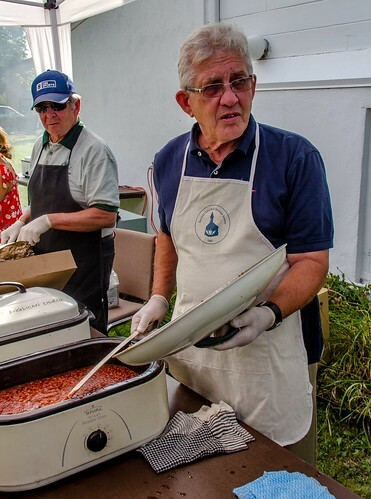 Jerry Selk was ready to dish out baked beans to hungry guests. 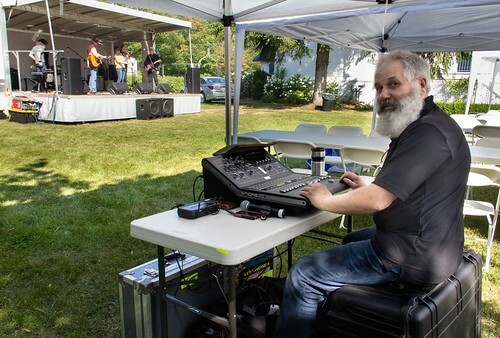 The weather was perfect for the annual end of summer event held at the Bayfield Town Hall on Saturday evening. 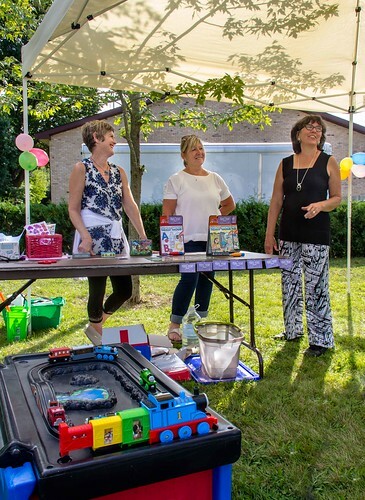 Volunteers looked after the children's activity area with sponsorship from The Purple Peony, of Bayfield, as well as the CNR School on Wheels who loaned their train activity table for the event. Once again no one could complain about the portion sizes! 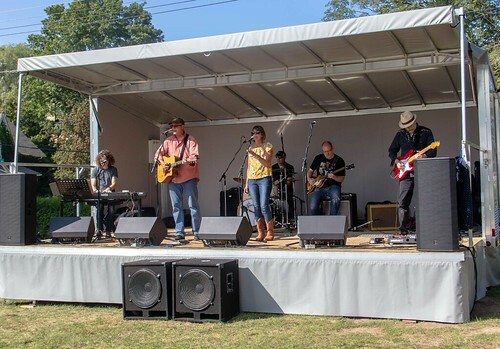 Good music, good food and a great community make the annual Sunset on Summer event a successful fundraiser for the Bayfield Town Hall each year. Participants warmed up before the run. Virtual High School staff are big supporters of the Run4Kids and appeared to be very interested in what 14 year-old Aidan, the event's 2017 Make A Wish Child, had to say during speeches at this fifth annual event. 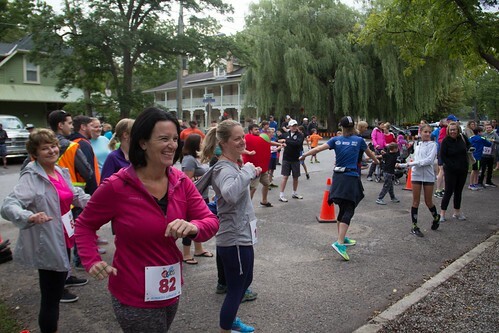 This was the third year that VHS worked with the Optimist Club of Bayfield in organizing the race. All the runners celebrated the success of the run in a picture taken with Aiden front an centre (not pictured). 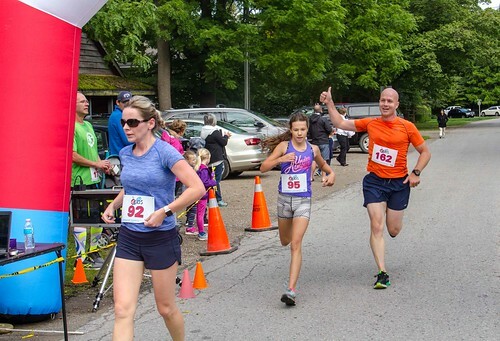 The weather was perfect for running the 5 KM race along the streets of the village on Sunday morning. The run began and ended in front of the Virtual High School on Main Street North. 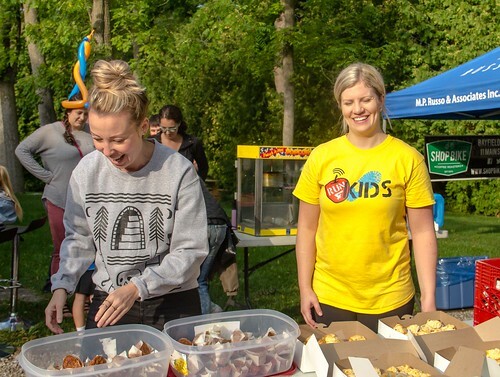 Leanne Kavanagh, of Shopbike Coffee Roasters, and Jackie Loebach, of VHS, made sure all the snacks were ready for the runners upon their return from the 5 KM route. 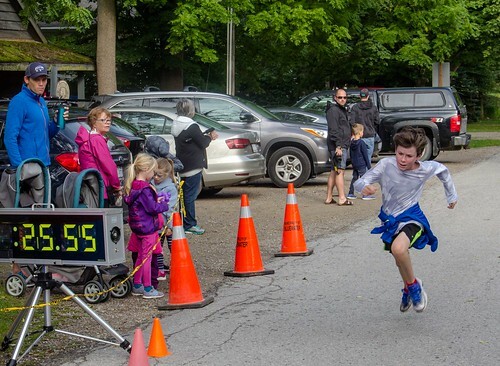 Thirteen year-old Simon Meades, of Bayfield, took first place overall at the VHS Run4Kids on Sunday morning with a time of 19:07. 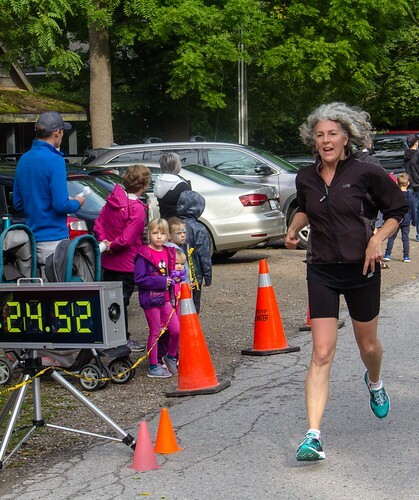 Candice Shelton, of Goderich, crossed the finish line first in the Female 30-39 category with a time of 22:24. She was followed by Payton Swan, of Goderich, and Joshua McClinchey, of Bayfield. 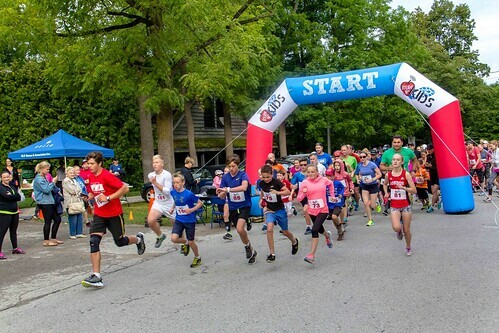 Ben MacAdam and Nicki Darbyson, both of Goderich, took part in the VHS Run4 Kids on Sunday morning a fundraiser for the Make A Wish Foundation of Southwestern Ontario. Participants ranged in age from two years to 69. 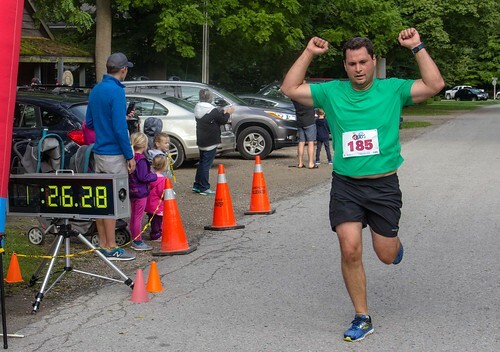 John Baker is a regular participant in the Run4Kids. 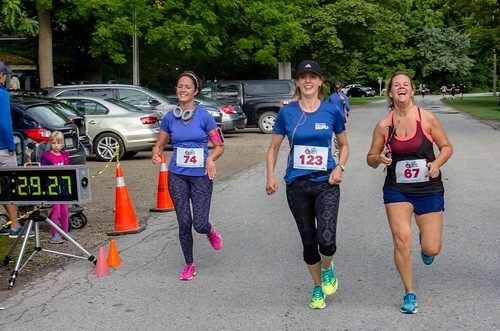 Shannon Gould, of Bayfield, Jackie Hivert, of Waterloo, ON and Jody Whetstone, of Bayfield were all smiles as they crossed the finish line. 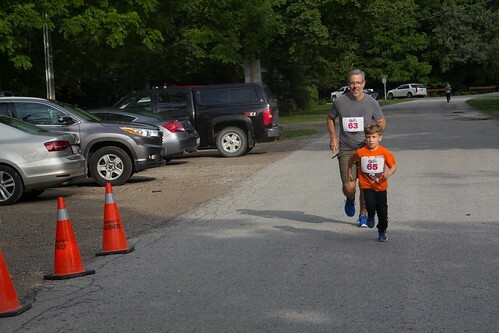 Evrett Poulin, 7, and Patrick Poulin, both of London, approached the finish line together. 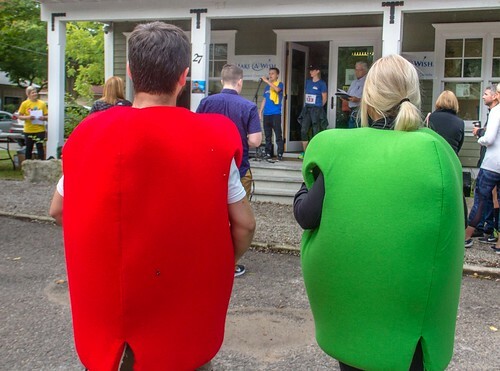 On the morning of Sunday, Sept. 3, over 120 runners and walkers, 35 volunteers, and many other spectators joined to support Aiden, a 14 year-old boy from Middlesex County who has a cardiac condition. 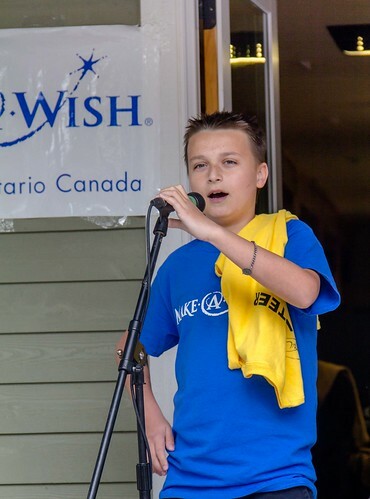 The event began with a stretch led by Nicole Rogers, of the YMCA in Goderich, followed by a speech from Aiden, who discussed his journey through surgeries and how much the Run4Kids event and Make-A-Wish means to him. To start the race, Aiden rang the bell on the top balcony of the Virtual High School. He was very excited to be at the event and organizers cannot wait to see his wish come true. W Reiko, the Wish Child Run4Kids supported in 2015, share his wish trip story with those gathered. Organizers agreed that it was wonderful to have both Aiden and Reiko present! “We are still tallying the final amount raised, but we are excited to share that we have raised well over $9,000. With this amount raised, we will also likely be able to help grant the wish of another very deserving child,” said Jackie Loebach, from VHS. The fastest time this year was Simon Meades, of Bayfield, who finished in 19:07. The full race results are viewable at www.vhsrun4kids.com/results.php. “The volunteers were incredible! From organizing, to fundraising, to set up and clean up, to directing runners on the route, the list goes on. 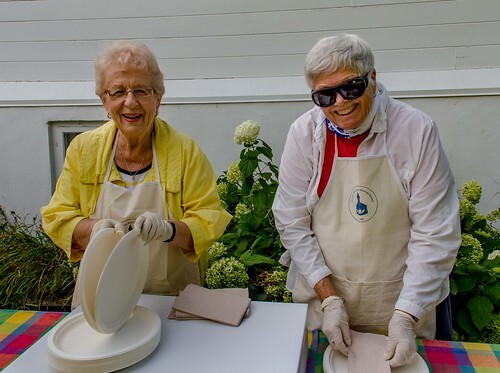 It would not have been possible without so many wonderful volunteers,” said Loebach. 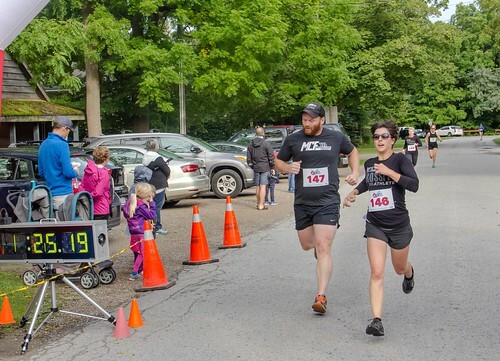 Following the run the participants needed fueling and the food, drink and snacks were supplied by The Pink Flamingo Bakery, Bayfield Breeze, Shopbike Coffee Roasters, Highway Robbery, Bayfield Foodland, all of Bayfield, and Fairholme Dairy, of Clinton. The “kids” were treated to face painting and balloon creations. The organizers are indebted to the many shops in the village as well as in Goderich and Zurich that provided draw donations. Bluewater Sanitation also gets a special shout-out for donating the sink for all to wash up after the trek around town. Special mention should go to Tyler Hessel who kept the runners on track leading the way on his bicycle. 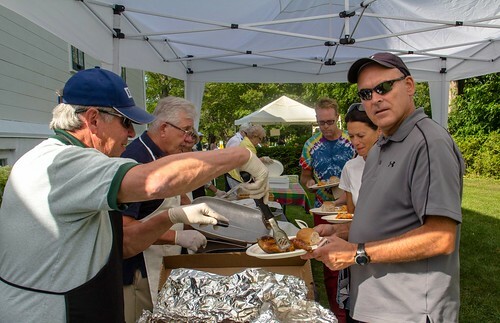 As a lead in to the run day both Bayfield Foodland and Scotiabank Goderich hosted hotdog barbecues in support of this event. Make A Wish child, Aiden, spoke to the run participants. His wish is to become Prime Minister of Canada for a time! 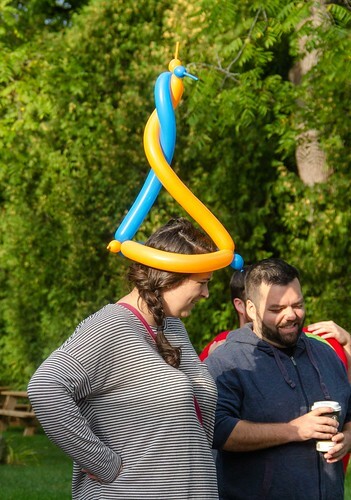 In addition to having their faces painted run participants could also get a balloon creation to accessorize their sporty looks. 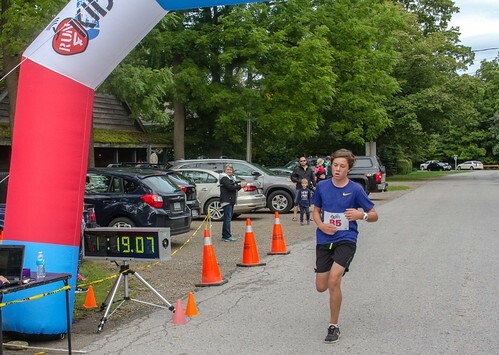 Brad Regier, of Zurich, finished first in the Male 20-29 category at the VHS Run4Kids with a time of 19:24. 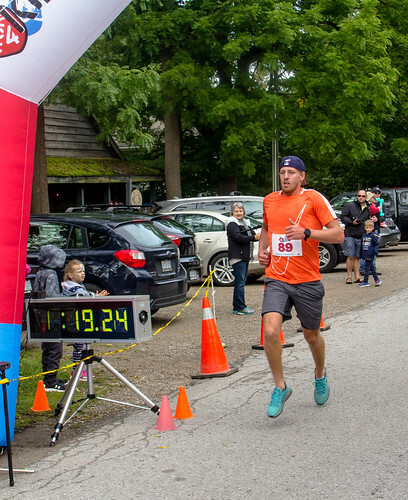 Sean Pynaert of Camlachie, ON, crossed the finish line first in the Male 40-49 category with a time of 21:04 while Jalen Marcil, of London, crossed with him taking the title of first overall female. Elise Feltrin was one of more than 120 participants to cross the finish line at the VHS Run4Kids on Sept. 3. 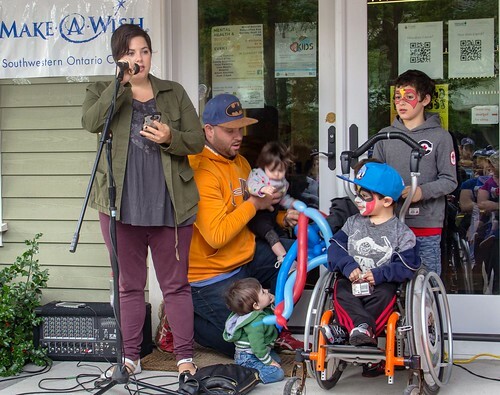 Reiko Quinlan, of Goderich, was the first child to have a wish granted by Make A Wish Southwestern Ontario from money raised at the VHS Run4Kids in 2015. He was on hand to support Aiden in having his wish granted. 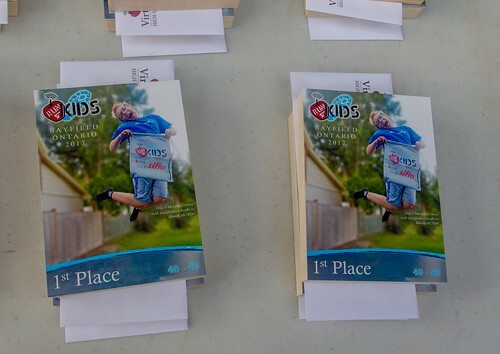 First place winners in the different gender and age categories received a plaque sporting an image of Memphis, the VHS Run4Kids Make A Wish child in 2016. Jessica Quinlan, of Goderich, surrounded by members of her family spoke to the crowd at the VHS Run4Kids. Her son, Reiko, was the recipient of a wish granted with the funds raised at the 2015 event. 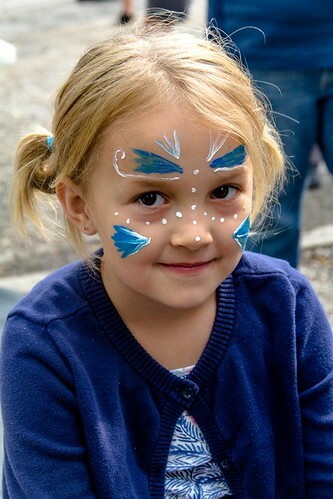 Charlotte Kwasniewski was one of the youngsters that had her face painted at the run. I had been highly anticipating the arrival of Sept. 3rd on my calendar all summer. It was important for two reasons. First, it marked my granddaughter’s third birthday and secondly it was the day that our six year-old grandson would get to attend his first live professional theatre. Three front row centre seats were reserved for he, his grandpa and I. The production of "Beauty and the Beast" at the Huron Country Playhouse was probably a lot of youngsters’ first theatre judging from the muscle posturing boys and princess dress attired girls that were having their pictures taken during intermission. And it certainly did capture Graham’s attention if not necessarily his imagination. He is after all a very practical wee chap. While we counted down the minutes to curtain he thoroughly read the program learning the song orders and the real names of many of the cast members and their parts. We discussed the work of the man pictured on the TV mounted on the balcony and he wondered if perhaps balcony seats might have been a better choice. Once the show began he did his best to be a good attentive listener but he is an inquisitive soul and he couldn’t help but ask some questions along the way sorting out the various roles the people were playing and announcing that the male ensemble dancers were definitely his favorites especially the welcome mat and the knives. These talented dancers earned his appreciation when one did a back flip off the staircase right in front of him. “That was awesome!” he declared. His imagination was tweaked when Maurice was locked in the cage and Belle was pleading with the Beast to let him out. In fact he declared that he didn’t like the show anymore and he wanted to leave. Luckily I was able to convince him that the story would get happy again soon and he stayed in his seat. About part way through the first act I noticed he wasn’t clapping so at intermission I explained to him that after the musical performances if you enjoyed the song you are allowed to clap to show your appreciation. “Oh? Really?” he said and sure enough in act two he clapped enthusiastically in fact sometimes he was the last one in the theatre to finish. Having recovered from the dark spell in the story he was very much looking forward to the fight scene in act two. When the Beast pushed Gaston off the parapet his fall was accentuated by his voice trailing off into the distance as he dropped far below on the castle grounds. “Well that was a pretty long drop,” I whispered to him. “Not really, just to the stage floor,” he replied. P.S. 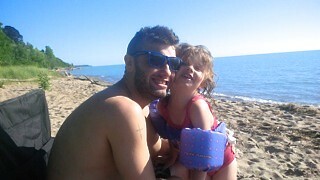 Happy 3rd Birthday Noelle!